Uncategorized Archives - An Opportunity to Celebrate Life! My message today is this: we are wired to relate to connect and to bridge and live well together, using our differences, our pain and our stories to make contact and know we are human – not broken and not alone. 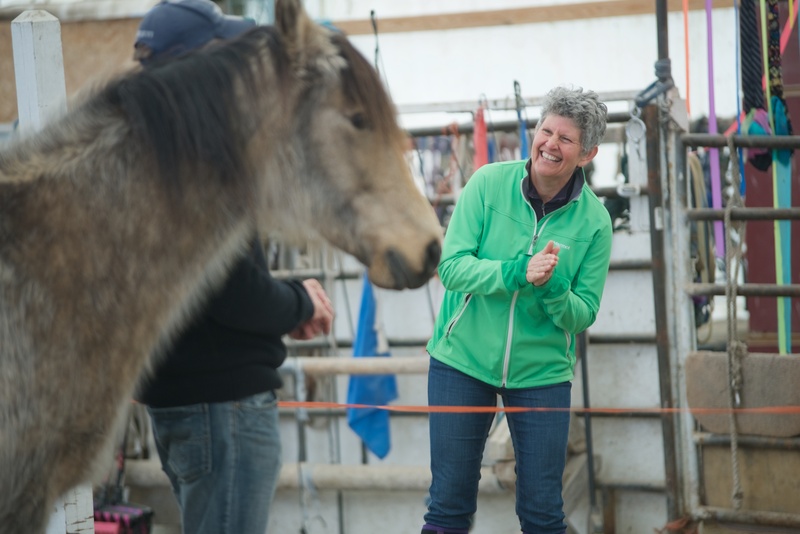 I’m an Equus Coach, for me that means that I partner with horses to support my clients in becoming more embodied (aware and utilizing ALL their resources – body, emotion, spirit and mind) and are congruent in their communications. and relationships (meaning the inside matches the outside). Horses do this naturally. They are keenly aware of their environment and rely on their relational skills to keep themselves safe as well as all the other members of their herd. Horses are not about power and dominance – they are about building relationships that create a powerful network for each horse in the herd to stay alive and well. Don’t you wish, we has humans did more of this? For years, I have been engaged as a program leader, therapist, coach and consultant to encourage and help people develop stronger and healthier relationships with themselves, with their partners and out in the world. My journey in discovering how to relate through being more vulnerable and curious started in circles at The Haven, a personal growth center in Canada. What I learned there transformed my health and life. Literally I was dying when I arrived. ( that’s a longer story). I believed that my willingness to engage with vulnerability in curiosity allowed me to become more intimate (in-to-me-see) and relational with the world. The project was humbling, at times hard and is one that is never ending. Thus becoming a relationship coach was a natural way to not only support my journey but to help others discover the possibilities when we work to live well together. What I know for sure is that the quality of my life is way better when I am not defending, protecting or simply surviving. Now I will be the first to say, I still struggle with being vulnerable. I resist. However, with the horses as I walk through a herd, I relax. My defenses drop. I become more present. So of course it seems only natural to want to use the resources I have found most helpful in my journey to help people who may be facing some of the barriers and roadblocks i have faced. Like health challenges, childhood trauma, being dyslexic and wrestling constantly with the underlying belief I am either broken or an alien. Having now been working with hundreds of people, I know I am not an alien. The many circles I have been in and stories I have heard that all have underlying similar themes makes it clear I am not alien – I am human. As humans, a big part of our journey is to discovery how to use our unique storytelling abilities to bring us together not take us a part. Oddly though we do seem compelled to make this very difficult. So why am I telling you this. If you can relate to a deep desire to connect and struggle with something in you that stops that desire from being expressed fully in the world. I think I can help. I’d love to hear from you. Sure you hire me as a coach or you can just write me back let me know your story and struggle. I’m just wanting to work to keep finding ways to get my message out there. My message today is this: we are wired to relate to connect and to bridge and live well together, using our differences, our pain and our stories to make contact and know we are human – not broken and not alone. Thought I would try a video! Hope you will listen and enjoy. The main message is how important it is to find simple, easy ways to tap into joy. Also I shared three things in 2018 I was very excited about that happened in my world and invited you to share what you loved about 2018!! Finally, here’s the link in case you want to join us for Get Unstuck starting January 8! This started as a ramble. I have horrible cold. I decided to write. In the end, I get to a valuable and important point…what I know for sure. Hang in with me! I am feeling humbled by marketing. In the past three weeks we’ve worked very intently to build our list and get the word out about our online program Get Unstuck, Build Your Mojo. We’ve tried a variety of different approaches. We ran a free training and when our own efforts to market were not as successful as we wanted in terms of attracting new people. We connected to a wonderful Facebook advertising person, who helped us create a new campaign. Good news: we had an amazing response, our largest registration yet for our free training. We actually had to upgrade our software because of the numbers. We were thrilled. However, due to a crash of Customer Resource Management tool, the emails to ensure all could join the training, did not go out as scheduled. Still, some people made it, but we realized we’d failed the folks who had taken that step and signed up. We decided to provide an encore training, to make sure we provided those people an opportunity to connect with us live. Long and short of it, not many people showed up for that training. We were disappointed because I believe the training was rich and worth the time. Again, our ROI was low. In other words – if numbers and sign-ups are the success measure, we failed. We also tried an Instagram photo contest. Which got me a bit more up to speed and a few folks engaged. But again, not what we had hoped in terms of numbers. Now moving into the final days before Get Unstuck, I find myself a bit discouraged. I really like the Get Unstuck program we’ve created, and I know each time we run it, the people engaged share the value they get from it. However, as a pathway for pulling our tribe and finding our people, I am just not sure what we’re doing is working. It is possible our tribe is finding us AND it is just small. Well – small in numbers – not in heart! During this time spent marketing, I have enjoyed building new relationships. One with our new Assistant, Allison. Another with Ana and her Facebook team. In addition, all those folks who have signed up, showed up, and participated in the training and took a chance at the Instagram context. I do value all of these connections. Still, today as I dealing with a bad cold, smokey wildfire weather (since when did this become a regular August event), and not having hit my goal for sign ups for the Get Unstuck – I am bit disheartened. In the past few weeks, we have also spent a lot of time with some of our corporate clients. We’ve been engaged in few leadership development programs. That too, has played a factor in my disheartened state. In each situation, we had been bought in because of someone strongly endorsing the programs we designed and delivered to them over a decade ago. In each situation, the impact those programs had on their careers was profound. So when looking for a leadership design team to partner with their current companies they called us. That’s the good news, which was both humbling and rewarding to hear. However, even though we were hired because of our passion and commitment to build real relationship and ensure that relationships matter equal to results, we have had to wrestle and witness very high value pieces of our content get taken away or dismissed at the highest levels of these organizations. For me, this too is incredibly discouraging. I know we’ve done our best not to water down our content. We’ve worked to partner and be honest and real when we did not agree. I’m grateful for that. But here’s the deal for me and where I am realizing I do have some things I KNOW to be TRUE! When I was young and launching into my career – I fell. I collapsed and was soon facing cancer instead of rising on my career path. As a result of these health challenges, I spent my early twenties trying to get back up on my feet. My best entrepreneurial efforts were spent rallying my own efforts to turn around my health and creating a road ahead that had a better prediction then 3 to 6 months. The path that generated the energy and motivation to walk that road was a clear and unwavering desire to be real, show up in relationships, face the differences, and find a way to be ME and build a WE. That focus gave me the heartbeats and the will, day in and day out, to breath and face the next mountain. I wonder if I hadn’t had to take that cancer, medical journey then would I have realized that relationships are the foundation of health, wealth and community. I fear that too many people in their twenties are looking up at super rich or super brilliant entrepreneurs and being motivated by that level of genius and success. I’m not saying that’s wrong, but it is missing something crucial. I doubt many look at my life and say – wow – I wish I had learned that relationships matter as much or more than results, when I was young. No amount of money, business success, or brilliance is as important over time as learning how to relate. Nothing. Learning to be vulnerable in the face of what life throws at you is way more courageous than being brilliant! Being curious even in the face of cancer or you version of hell – is much more life-enhancing over time than always winning and getting the numbers right! This is what I know for sure. CrisMarie often tells me I don’t say it enough that I do believe I have an answer for whatever ills you. It is true I may not say it in a voice of hubris and over- confidence. The problem for me is that the answer I offer isn’t easy or certain – it is a path riddled with uncertainty. However, it is a path of tremendous reward. Get Unstuck as been built on that path. If you are inclined to take a path towards relational health and have the courage to launch yourself into the unknown – may be only with a slither of a dream – join us! We start on AUGUST 21st! I am finding that between writing our Life Tidbits Blog and Business Blog, not to mention the writing deadline we are on to get our Couples book out in late October, that my personal blog is just not thriving! However, I am not sure I want to give it up. For any of you inclined to get regular tips, tools and reflections about our life and work, please go to the thrive website or links above to sign up for one or both of the above mentioned regular releases. As for this space, I have various thoughts. What I enjoy about this site is that I am often experimenting with ideas. I don’t spend a great deal of time editing and I like that creative freedom. I have long struggled with being dyslexic and spelling and grammer are a constant source of angst for me! Here I usually attempt to do general edits but don’t dwell on words or correctness. I want that to continue. I’d even like to find more just writing and sharing. I love to create more dialogue and hear more from folks following. Like I just had a most awesome birthday week! It started while at Haven and has carried on for a few days now. I have felt blessed and very grateful that I have the friends and lifestyle I have! There are a lot of things that are super crazy in the world right now. Like having a President who wants to be like a North Korean dictator and have us stand at attention to him. I read things like this and I weep. How can this be our President? Yet apparently not only is he the President, he still has a strong following. That is not even the worse of news. It is so challenging to read about injustice, pain, suffering and places in the world where active warfare is a common happening. I don’t know how to change the world. I do believe my best effort comes through meeting the differences I face everyday with vulnerability and curiosity. Maybe that’s why I am intrigued by the Jeep Wrangler. My birthday has offered me a series of Wrangler rides and drives! The Wrangler is a car that on the one hand is rugged and able to drive off-road – however, with the hardtop off and only the frame holding me in – the vulnerability is much more present. Sometimes I feel like that. I am relatively tough. I can go off-road and into wild places. But really I am just riding through this life quite exposed, heart- opened, which does mean it’s a bit more easily broken. I actually believe that’s a good thing. That cracked heart let’s so much more light in! So it is critical to have regular ways to play, find joy in the simple things like swing sets and rental jeeps! Remembering my friends and being curious about those that are so different in their values and choices. My current plan is to spend some more time just writing like this and posting. I’d love to hear from you. What do you think of the new plan? Also, how do you stay sane? Also feel free to share what’s on your mind and heart. When I was young I was a lot like our puppy, ZuZu, full of life, vibrating, sprinting towards friends, and jumping or bowing to invite play. As I watch ZuZu interact with Rosie and they wrestle each other on the floor, I can feel my heart swell, and I touch a memory of that time in my life. Sometimes I want to go back there. I want to be that innocent, playful, and alive. Sometimes I do touch that vibration, and I experience joy. Just the other day I had one of those moments with a horse, Luke, a mustang at Stillwater Ranch. Bobbi, my horse whisper partner in our Find Your Mojo in Montana workshop, was giving me a spring refresher riding lesson. Though I have found my mojo and ease with creating relationships with the horses on the ground, I am still new to riding. Plus, I had taken most of the winter off to play on the mountain skiing. This day everything with the horses felt a touch awkward. However, instead of being rattled by my nerves and fears, I took a breath, acknowledged my anxiousness and bowed to my four-legged friends. They gathered around and pushed at me a bit, reminding I needed to be grounded in me, not focused on them. That’s really all they wanted – me to show up. I moved through the pasture greeting each of my friends. I felt calmer and ready to make my way to Luke, to see if he wanted to ride. Setting up to ride was the next huddle. I struggled because I didn’t remember all the steps to getting the soft saddle on and the side-pull harness set up right. In all worries about getting the buckles, straps, and blanket just right, I was totally disconnected from myself and Luke, and he let me know it. Luke bobbed his big head and was mouthing at me. Finally, I got the message, took a breath, and slowed down. Once up on Luke, I struggled to find my balance. I started to get overly focused on the techniques I had learned, trying to assume a certain command in my role as leader. But Luke wasn’t interested. For a while it seemed more of a power struggle than a dance. I had to catch myself and remind myself what I love about working with horses. I may want to have a great relationship with them, but first I must get into a great relationship with me! I’ve had to accept that I’m not naturally smooth and graceful. No. I am a bit rougher on the edges. More made up of lines, scars, and rust – than silk, sweet, and smooth. But I haven’t always been willing to accept my lines, scars, and rust. I wanted to look good. So yes, I started out innocent, and somewhere along the way I made a decision to protect that child by creating barriers, walls, and defenses. My armor saved me from feeling pain, loss, and giving up entirely. What I recognize now is I’ve became a bit over identified with the armor, and lost my connection to my little girl inside, Susie (as I was called through my earliest years). I have done lots of work to breakdown those barriers between me and the world around me. What’s left are those lines, scars and rust. When I accept myself – including lines, scars and rust – something special happens. Maybe it’s cracks that let the light and music back in. When I’m with the horses the music comes. I heard my music playing and suddenly Luke’s joined in. This was the first time I’d heard the music while riding. Yes, I regularly hear the music of the horses when I coach in the round pen or walk into the pasture with them. It’s what I love about working with the horses. They call, and all they’re asking is for me to show up – not perfect, not powerful – just present! P.S. Why not join us for Find Your Mojo in Montana and see if you can hear the music of the horses? Just a couple weeks ago, I woke to a haze of smoke that blanketed my town of Whitefish. For weeks we have been hearing about fires – to the south of us – to the north of us. Yes, we have had days of smokey skies and very poor air quality. Then, suddenly everything started moving closer. Parts of Glacier National Park and Lake MacDonald Lodge were be evacuated! That’s close! Next our little town and Flathead Valley faced a school closure due to the threat of an attack on people’s children. Apparently due to a cyberattack of some sort that resulted and parents and children getting very graphic and threatening messages. After three days of school closures, games and events being canceled there still isn’t certainty as to where the threat was coming from. This is just what has been happening in Whitefish – I haven’t even mentioned reading the national news headlines! Damn – I say – this is crazy!! Floods, hurricanes – fires and mother earth’s fury – plus crazy stuff like cyberattacks, white supremest and a President who regularly sends out insane tweets, talks smack and threats at the UN, really?! Yes, I bet you didn’t think that was coming. But really – I wonder if a little more play, joy and pleasure wouldn’t be the best remedy for us all. I get it. Life as we know it is spooking us! We could wrestle with the reality or not – of climate change. We could fight about healthcare, building walls or disarming North Korea. But really wrestling with any one of these big issues s with the intent to determine right and wrong – seems like it just ain’t working. Don’t get me wrong – I believe in climate change. I think we owe Mother Earth a major shift in our attitude and actions, but I’m not into proving that point. I will recycle. Ride my bike when I can. I participate and vote for measures that support recycling, science and alternative energy! I also don’t intend to stop speaking up when I think someone is being a bully – making statements that seem cruel, mean or frankly racist, sexist or just ignorant! But I am not interested in fighting about it. Instead, I think our best path is to play. Over and over in nature, there are signs that when under attack – especially a vicious attack – the best answer is to engage in play. Stuart Brown did a Ted Talk on this very message. One piece was a video clip of a hungry polar bear coming for lunch where there were sled dog huskies chained up. Those huskies knew they were going to be the polar bear’s lunch, but what happened instead was amazing. 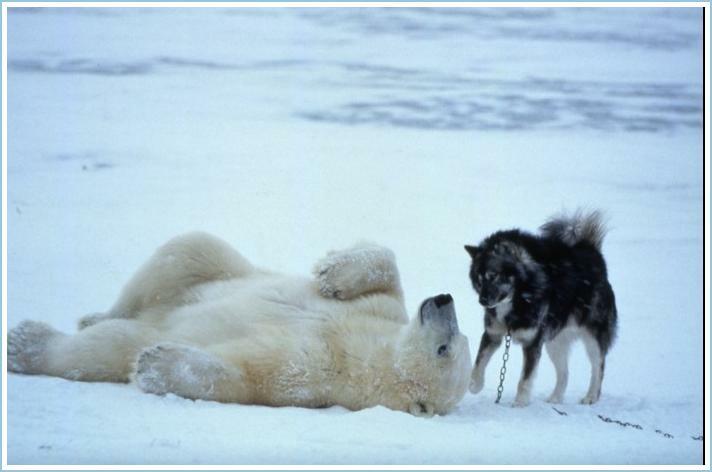 One female husky did a classic play bow and the polar bear’s whole being shifted. Instead of a meal the two had a play date! Now the polar bear makes an annual trip to play with the pups! I know, when you are feeling under attack or you are facing threat and fear – the last thing that comes naturally is to rollover and play. But maybe we need to get back in touch with our joy, our innocence and remember play can be just as important and life changing as any work, spiritual seeking or political activism. What can you do to add a little play and joy to your day? How can you invite and encourage others to join in! Don’t leave you work behind just add more play into your day and notice the results. Let me know how it goes! P.S. Need some help playing, give me a call. I’m happy to help. Getting Over Your Ground Hog Day!! I love the movie Ground Hog Day! That same day, repeating and repeating – until finally – finally – something shifts! Though I have not lived such a dramatic version of Bill Murray’s day from hell – I sure have had my moments and days of being stuck in an unserving, suffering storyline!!! Indeed it is a type of hell! Plus it plays havoc with reaching my dreams, finding my joy, my ability to connect and basically eroding my relationships!! I call this a KINK. 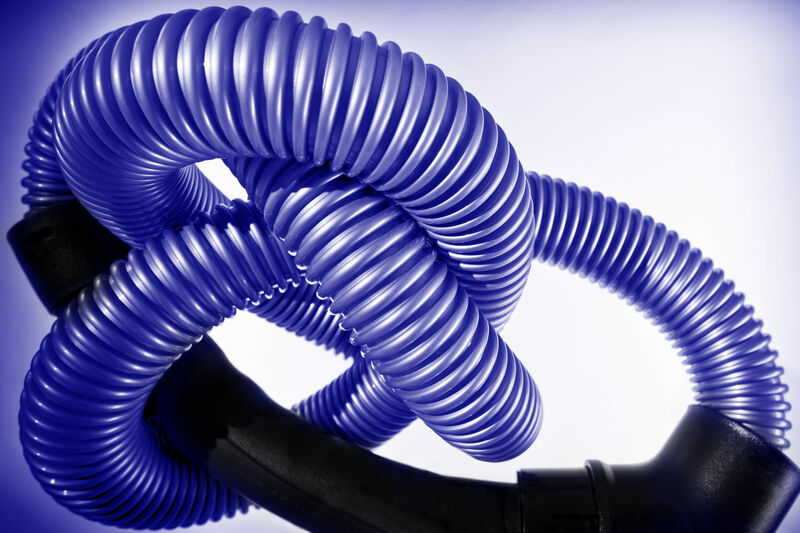 It’s like a knotted shoelace or a garden hose that isn’t just twisted put wrapped around itself in such a way – no water comes through!!! That’s what it’s like to have a limiting belief, it can spin you around and round! Let me give you an example. Here’s one of my classic KINKS! You see how one belief just plays havoc!! That one – well it’s been around in my head for years!! I even have labels for it now – dyslexic, learning disabled. Well may be I do frequently flip letters, mix up my words and struggle with spelling. Indeed it’s a kink that doesn’t easily go away! However, I’m not stupid. I can write. Plus, there’s always editors – right? Here’s the deal – we all have our storylines – some of them helpful – some of them not so much! I am not someone who believes you can just get rid of them!! However, I do think there are ways to become aware of when a KINK is getting in the way of what matters most to you! Awareness is the first step to any shift! Once I notice I am spinning into a KINK – I have some options. I can breath and see what I am feeling. Usually there’s an underlying river of feelings that have been trapped or wrapped up in that KINK! I find for me, it helps to move, dance, shake that story around! Then pause and check inside. See if anything has shifted. It’s not a perfect formula or science. However, I am getting pretty good at not letting that KINK of mine – send me into full-on Ground Hog Day!! I’d love to help you avoid getting caught in a KINK or worse finding yourself stuck in a Ground Hog day! That’s part of my online program, Get Unstuck. How to work through Kinks and Leaks! and make sure you are not caught in a Ground Hog Day! I’d love to help you find a way to reach your dream or goal without to much spinning. I’m sure there are some typos in this post – but I want to get it out! Get Unstuck starts – July 25th and it’s 25% off through friday, July 21 at midnight!! Get out of your own way! Get Unstuck!! How Do You Feel Joy with So Much Disruption? I just finished taking a short break to catch up on the latest news. Coming back from my break I am a little shaken up as I often am these days after reading the headlines. Today’s news was covering bombing in Kabul and Trump’s latest decisions to pull our of the Paris Climate accord. These are just a few examples of what’s happening in the world. It’s hard to reconcile the news and my life. I have had a wonderful couple of months. I have spent a month at The Haven leading an amazing Living Alive Phase program with 24 participates all very committed to their learning and engagement in life. The month was very fulfilling and I loved being part of a team committed to holding space for people to explore, discover and be different. Thank you Carole Ames, JoAnn Kevala, Jan Pullinger, Gillian Chandler and Jan McGinn! Since returning to Montana, I’ve enjoyed our second run of Find Your Mojo in Montana and it was a huge success. YAY!! 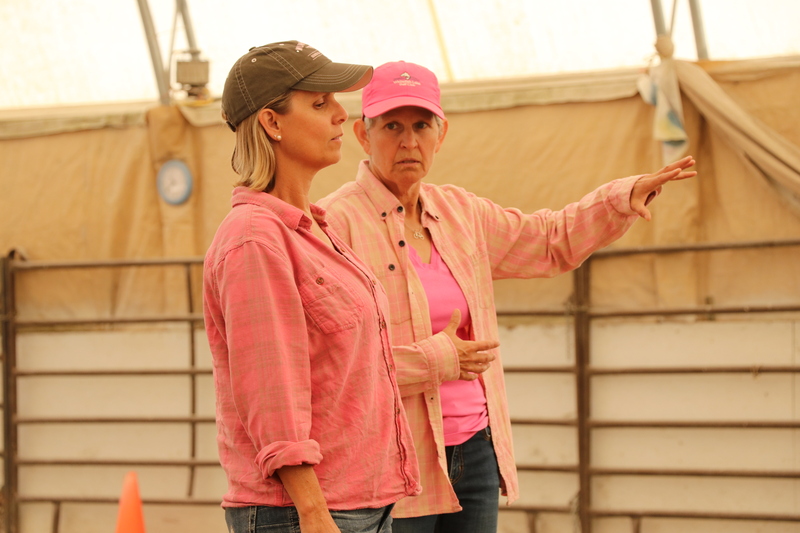 Great people, great fun, great learning — not mention some awesome moments with the horses! CrisMarie and I’ve worked with two corporate clients and though one is in a more challenging phase, there was dialogue, empathy, connection and care — even amidst the conflict and crisis. Add a couple days of being a part of the Haven strategic faculty team tasked with ensuring The Haven continues to grow and deliver transformative learning experiences, and I hope you can get the idea that my life is very different than those headlines! I am so grateful for my life and the work I get to do! I love the way I get to contribute and engage with individuals, couples, teams and organizations. I feel fortunate and privileged to do the work. I have the opportunity to see people work through painful stories, connect and find creative options even in some pretty dark places. Yet I pick up the paper and wonder, Does not it make any really significant difference? Is it is possible to feel good and joy when it sure looks like so many are suffering and our own government is creating so much disruption? I do believe the work I do makes a difference. I also believe when anyone feels joy, connection and fulfillment it’s a strong vibration that carries further out into the world than despair, helplessness and fear. So I choose to keep playing my game of relating moment to moment, person to person and holding space for our humanity to shine — even in the face of what seems like tremendous choas, pain and suffering. I do wonder how you hold on to faith and stay in the game because sometimes it’s hard to reconcile what’s happening out there with what is happening inside. I want to hear from you: How do you hold onto your faith and stay in the game? Email me: susan@thriveinc.com. This week I got to go CAT skiing, a.k.a Snowcat skiing, which is backcountry untracked skiing through trees and powder. So today’s piece is all about finding the best untracked line,be it in the snow or on the page, and both take PLUCK! Pummeled and humbled by the mountain and still I rise! That’s right. I have no doubt the reason I got the cheers as I skied up to the cat on our last run was because everyone there was just grateful to see that I had survived and was arriving smiling. Yes – the mountains had humbled and pummeled me but I had completed all ten runs! I had shown I had pluck! Who knew most didn’t. Well let’s be clear most didn’t who signed up for a cat ski day at my level of skiing. I haven’t been skiing that long and frankly have been a touch conservative about where I ski at our Whitefish Mountain Resort. I have steadily gotten better and this year signed up for the women’s ski program that included weekly lessons. Now I have made a few black diamond runs and have been feeling pretty good about myself! 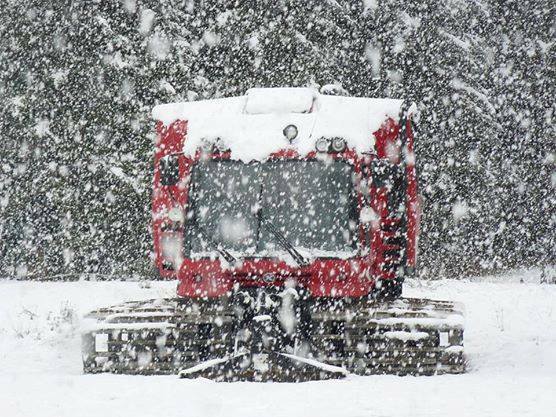 So when I got the invite to go ski powder – I took it. I thought I was ready. Yes, I was scared but I wanted to go. The thing is if I had thought it all through, I would not have gone. I would have been rational and realized skiing in powder really meant skiing through trees, very high up in the mountains of Montana. That skiing where there were no tracks meant significant bumps, ledges and (little) cliffs that resulted in taking air! That once you got out of the Cat and put those skis on there really was no other way down, except to ski and if falling regularly, to keep getting up again, again and again. Let me just say here, though falling in powder is soft – getting up over and over is exhausting. There were a couple runs that were near perfect through the untracked snow, through the trees and over the bumps. A couple runs where I did find that perfect line our guide suggested we shot for at the start of each new run. I believe I will be a better skier having made this trip. (Yes, I’ll have to get over the stiff and sore muscles – but I will!). But even if I’m not a better skier, I found my pluck – having or showing determined courage in the face of difficulties and I’ll take that! It’s not the first sign of my plucky nature. Starting my blog took an effort and know I have gone through hearing no feedback from a post , great feedback, mean feedback – over and over. I don’t wake with sore muscles but sometimes I wake up dwelling on someone comments. Still I love to write. My heart sings. I show my courage, to show up and work to speak from my heart. It’s especially cool when I find a great story line and ride it through – editing, spell-checking, wrestling with the best way to make a connection. Yes, be it skiing or writing, life , or really most any great day, it’s about finding the best untracked line. Your line and sticking with it. Bottom-line, that’s life. We know some day it will end or it’s very possible our heart will be broken over and over along the way – will we take the risk? Will we have the spirit and courage to find our best line through – even the rough spots – even when we fall? Funny thing is, I bet if you asked your own heart – even if it’s been broken many times – the answer would be – yes – I will do it again! I’m glad I got to ski untracked powder. I’m glad I have opened my heart. And if I when I have the chance to to do any of the above again. 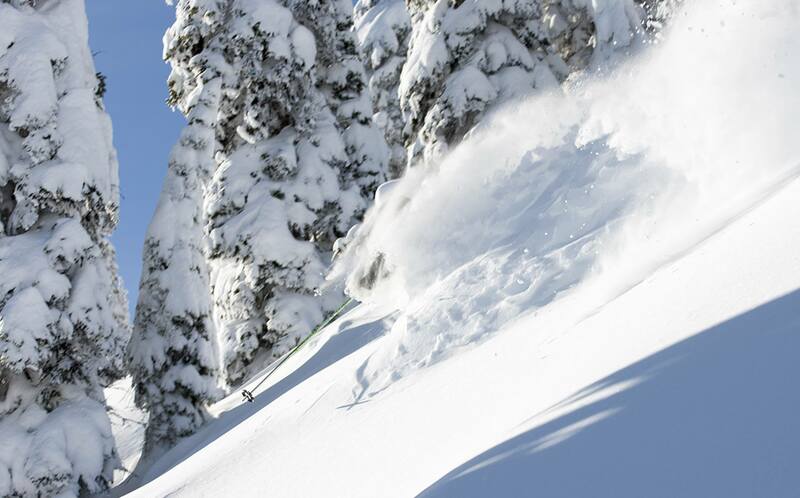 Where’s the powder in your life? Where have you been invited to open your heart, live full-out, even when it’s not rational? Did you say yes?? I encourage you to say yes! Special thanks to Merrill Lynch, specifically Jamie Carbo and Mike in Whitefish, MT and to Great Northern Powder Guides – you guys are awesome! !